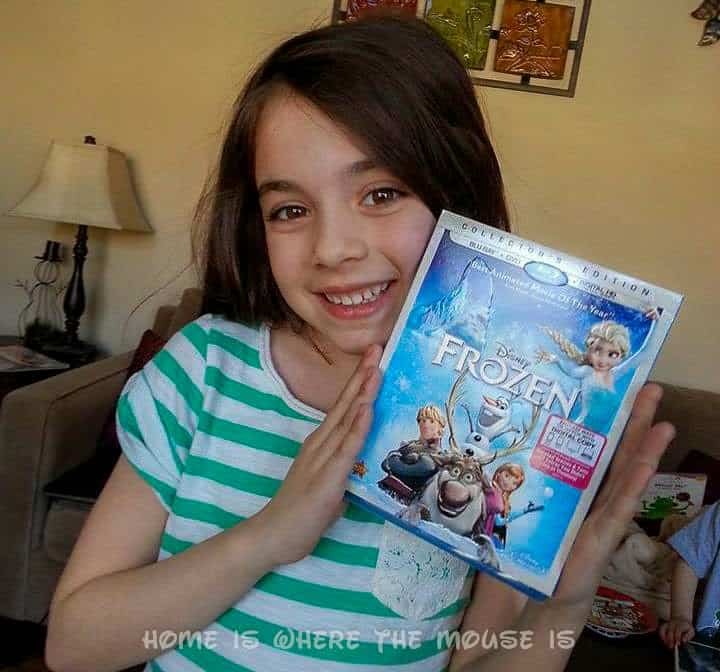 “Frozen” is the ‘hottest’ Disney commodity right now, and if you’re anything like our family, you’ve got some Frozen-obsessed children clamoring for all the frozen toys, apparel, and experiences they can get their hands on. 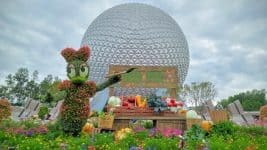 For those of you traveling to Walt Disney World in the near future, you may be wondering just where and how the Frozen phenomenon is being worked into the parks and resorts. 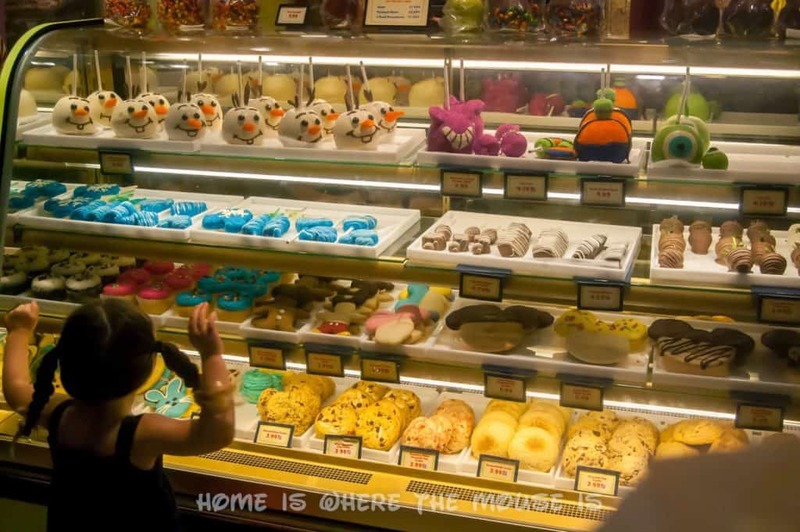 We were at Walt Disney World last month, and after returning we’ve done some research and compiled a list… here’s the 10 Best Ways to get your Frozen Fix in WDW! 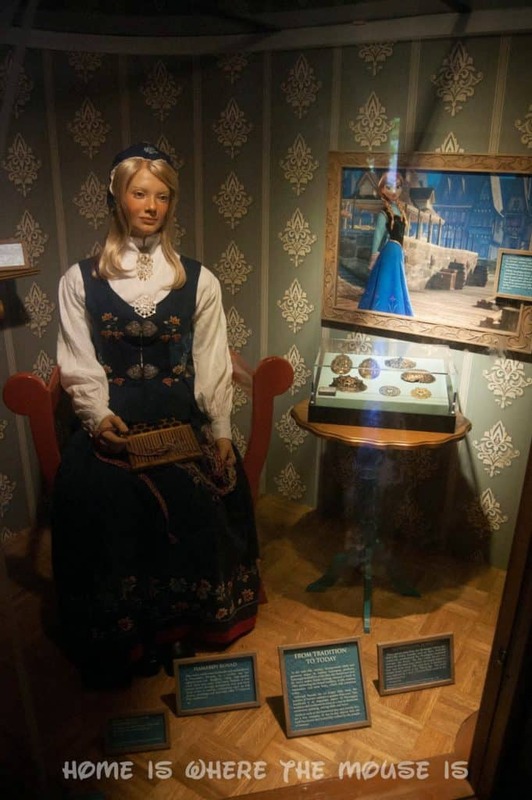 Topping our list is getting some personal time with Queen Elsa and Princess Anna. 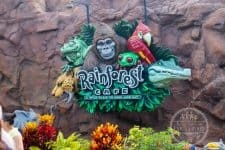 They are hands-down the most popular attraction in Walt Disney World, with guests waiting in line for hours and hours to meet them. 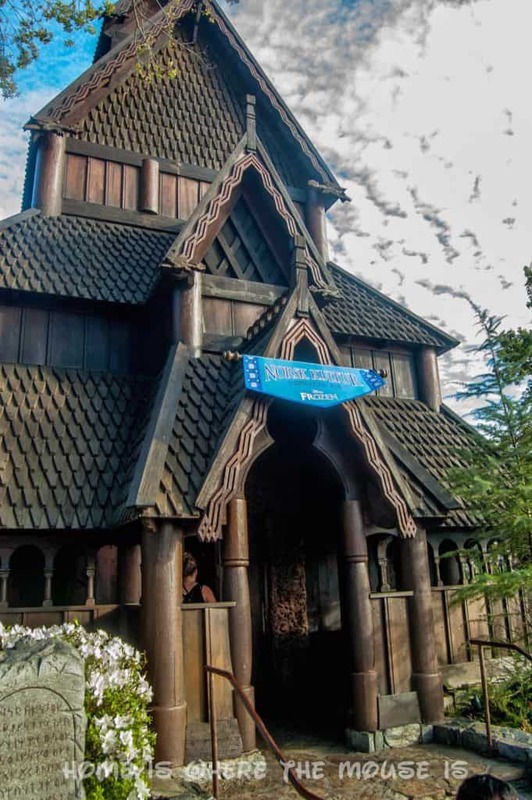 Their current home is in the Prinsesse Plass in Epcot’s Norway pavilion. Guests are running from the entrance of the park as soon as it opens to get a good spot on line. 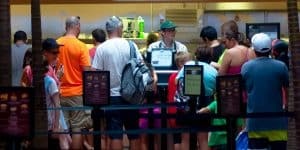 This strategy could net you only an hour wait as opposed to 3 or 4 hours. 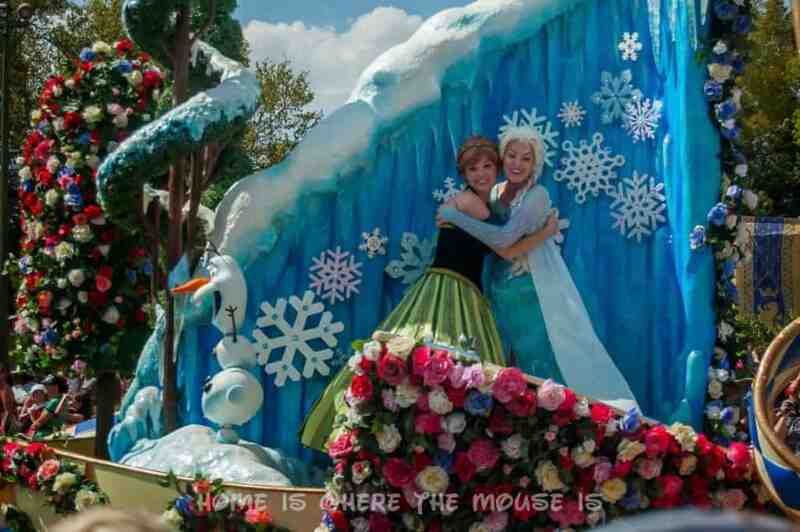 On April 20th, Anna and Elsa will be moving to a new home at Fairy Tale Hall in Magic Kingdom. 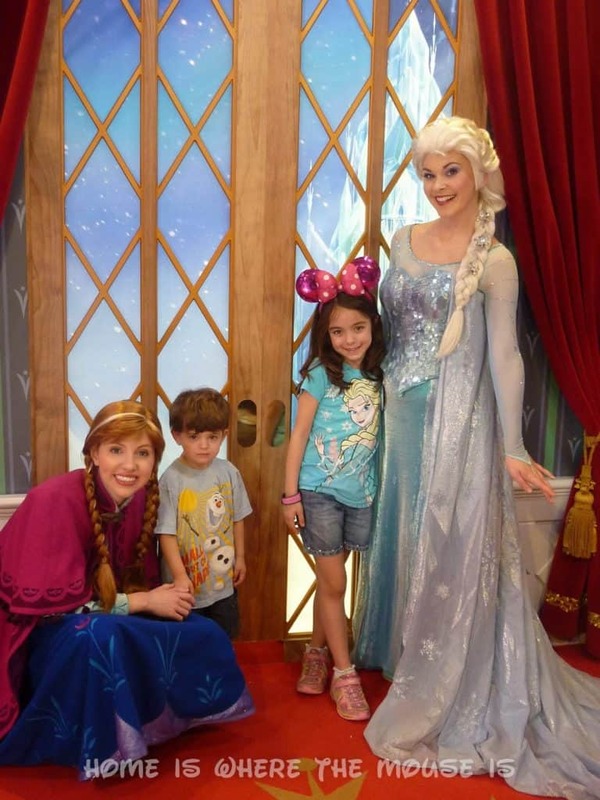 Hopefully, with FP+, more guests will be able to meet the Frozen sisters without the long waits they had in Epcot. Guests should make their FP+ reservations for Anna and Elsa on the first day possible because they’re already “selling out”. Don’t have a FP+ ? It’s possible that more FP+ slots will open up the morning of, so you can check online or when you first enter the park. You can be sure many guests will be trying to get to the park to be the first ones inside when it opens and race right on over to see Anna and Elsa. Another strategy would be to make reservations for one of the character breakfasts inside Magic Kingdom for early park entry. The new Festival of Fantasy Parade includes Anna and Elsa (and Olaf) as part of the very first float, along with several other Disney Princesses. One unique thing about this float is that the stage that Anna and Elsa stand on actually rotates on its own. So, there’s a chance when the float is directly in front of you that they might be facing the other way and you’ll have a view of Tiana and Naveen instead. That said, we were still able to see Anna and Elsa as the float approached and got a few good pictures. I think that had our daughter been with us, she might have been disappointed at not getting the closeup view. Unfortunately, I don’t think there’s anyway to know for sure exactly which way they’ll be facing at any point in the parade. You can always hedge your bet by being ready to move if needed, or by securing a spot with multiple views of the parade. Celebrate the Magic is a ? ?-minute show featuring music and images projected onto Cinderella Castle. It was updated to include the “Let it Go” scene from Frozen. For the best viewing, you’ll want to be fairly close to the castle. 4. Get a picture with Olaf? This one is a bit questionable, since there’s no guarantee either of these photo ops will be present for much longer at either location. It’s not a real life Olaf, but this setup was at the Once Upon a Toy store in Downtown Disney. It appears it was part of the DVD release party that was held here on March 18th. It was still there and you could still walk up and get your picture with Olaf and the “Frozen” backdrop. Is it still there? I don’t know for sure. 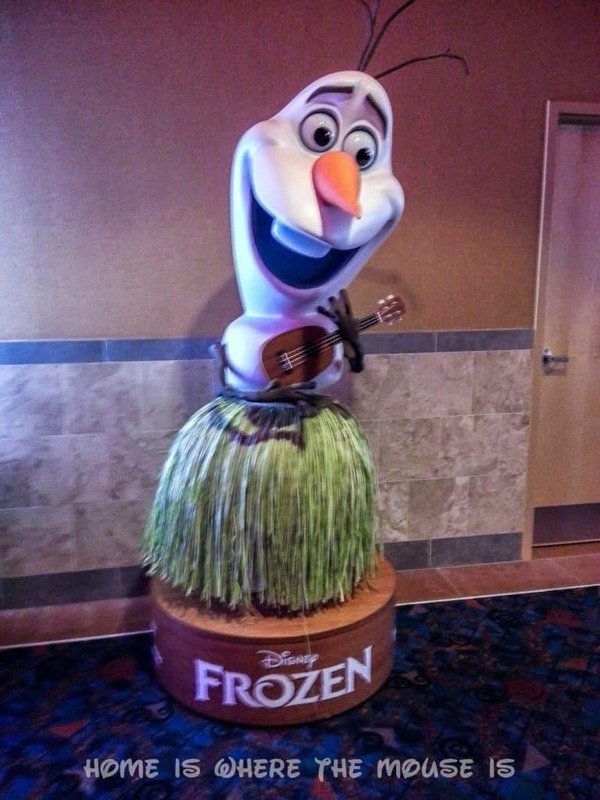 Rumor has it there was also a hula-skirt Summer Olaf in the lobby of the DTD Movie Theater. 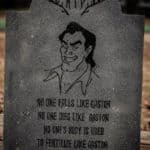 We saw one just like it at our local theater last summer when they were promoting the movie. 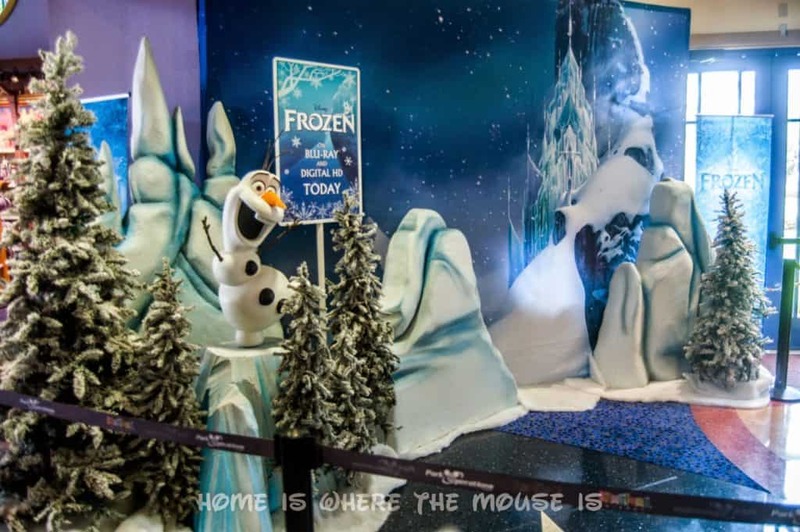 It appears that Frozen has ended its theatrical run, however, so I’m not sure if the Olaf statue will long remain. According to the Disney Parks Blog, some Frozen characters have been added to the rotation of characters you can draw as part of the Magic of Disney Animation in Disney’s Hollywood Studios. It’s not guaranteed that you’ll draw Olaf or another Frozen character, but given their popularity, it’s a good possibility. While touring the Magic of Disney Animation, you might also get to see some Frozen sketches or concept art, as Disney usually features work from recent films as well as those currently in development. Frozen souvenirs are another hot commodity. Things like dolls and dresses are especially hard to find as they fly off the shelves. 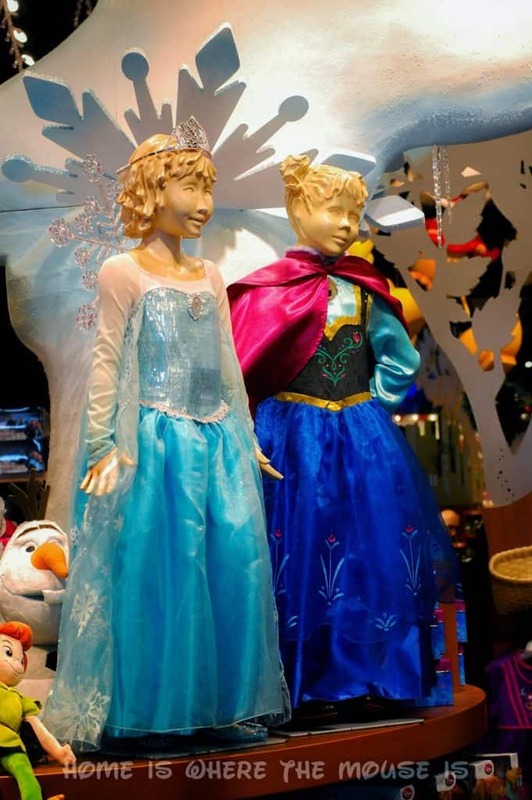 There are many gift shops throughout Walt Disney World that sell Frozen merchandise. Right now, getting the hard to find items requires getting to the stores as soon as they open and hoping there was a delivery the night before so the shelves will be restocked. The same is true of the Bibbidi Bobbidi Boutiques, which will sometimes have Anna and Elsa dresses in the morning, but sell out of those quickly. Some unique Frozen souvenirs that we did see plenty of while there were the Frozen character prints and sketches. There a bit pricey ($30-$40), but they are certainly something you are not going to see at your local Disney Store. I think it would be something cool and different to have Anna and Elsa sign if you do manage to snag one of those coveted FP+ reservations for the meet and greet! We saw them for sale in the Norway gift shop and in the art stores. Another off-the-beaten path option is to see if you can design your own Frozen shirt at the Design-A-Tee store in Downtown Disney. 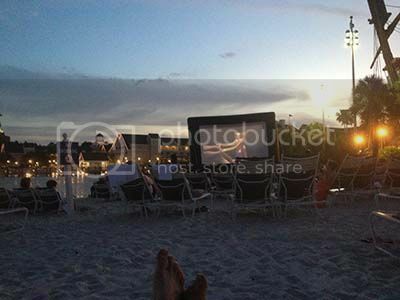 One of the overlooked activities of the Disney resorts is the outdoor movie nights. Almost every night (weather permitting) the resorts offer campfires and show outdoor movies. “Frozen” is now in the rotation, showing at least once a week at nearly every resort. There is no extra charge for participating in outdoor movies or campfires at the resorts, and you don’t even have to be a resort guest. You can check with your resort for a schedule of movie nights, or use this link which usually has an up-to-date calendar for each resort. Olaf candy apples and Frozen-inspired blue and white decorated treats were in every display case we happened to stop and look at. Do you wanna eat a snowman? and your picture on the other. Did you purchase Memory Maker or looking to use those PhotoPass pictures? 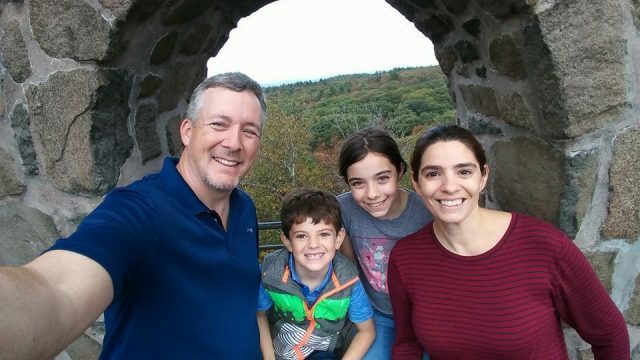 There are a number of Frozen borders and stickers that can be added to enhance your pictures before you download them. 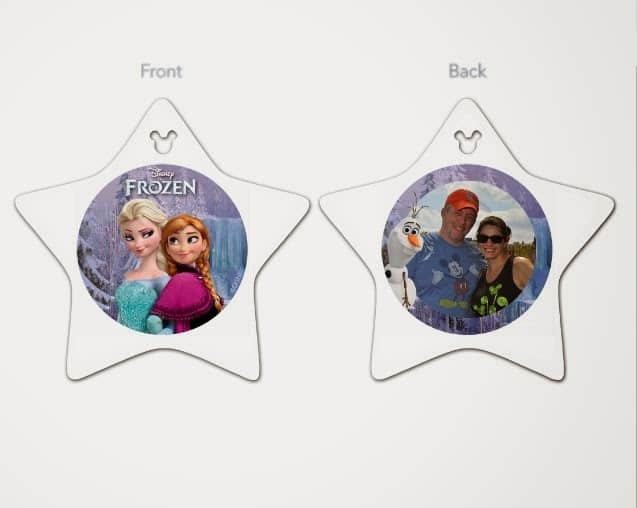 There are also a number of Frozen photo-products to choose from to use your PhotoPass or even your personal pictures to create unique souvenirs. That backdrop at Once Upon A Toy looks so cool! What a great picture spot!